Daktronics (NASDAQ-DAKT) of Brookings, South Dakota, has designed, manufactured and installed a new narrow pixel pitch LED display at the Skechers flagship store in Manhattan Beach, California. 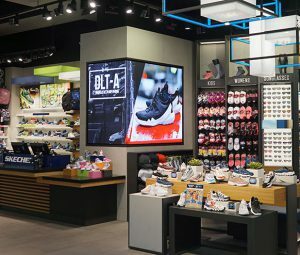 The display was installed this summer and covers two walls meeting at an outward 90-degree corner to modernize the aesthetics of the shopping experience. 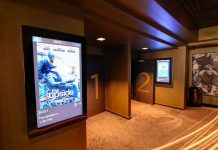 The display features a tight 1.9-millimeter line spacing for crisp, clear imagery at very close viewing distances as close as five feet from the display face. It measures 4.5 feet high-by-3 feet wide along one wall and 5 feet wide along the next wall, meeting to create the 90-degree angle with a seam minimized to mere millimeters for a sleek look in this retail application. 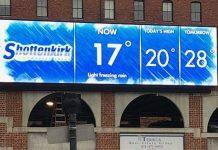 Capable of recorded video, animations and static messages, the display can share one image across both sides or it can be divided into two sections to show coordinated content. 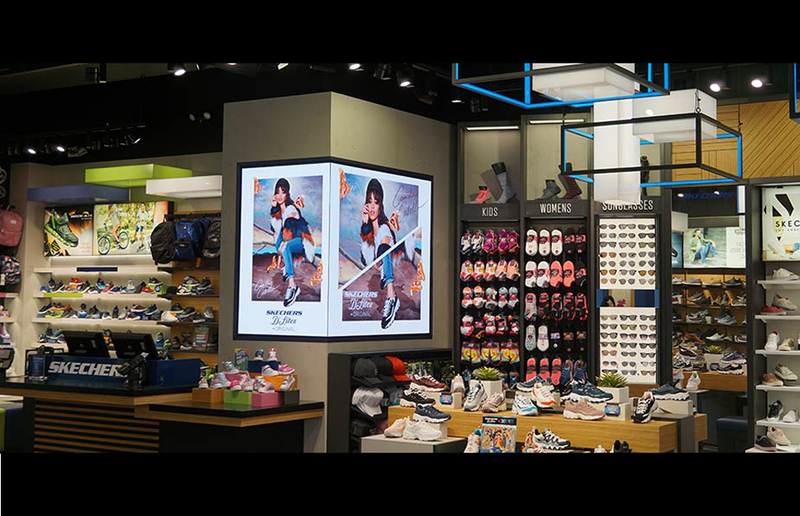 The store will be using the LED display to share branded Skechers advertising with video and static content to modernize the experience. 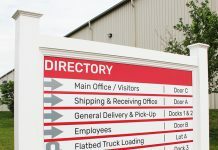 For more information on Daktronics narrow pixel pitch products, visit www.daktronics.com/npp.